When I was browsing around Camden the other week, getting all lah-de-dah about being in LANDAN, I stumbled upon this beautiful garment. A garment like no other. 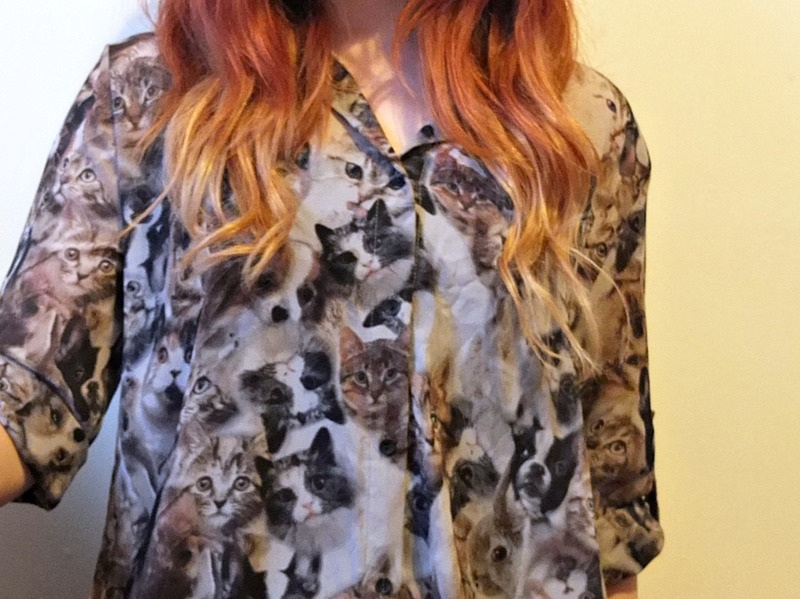 A garment which made my life complete. 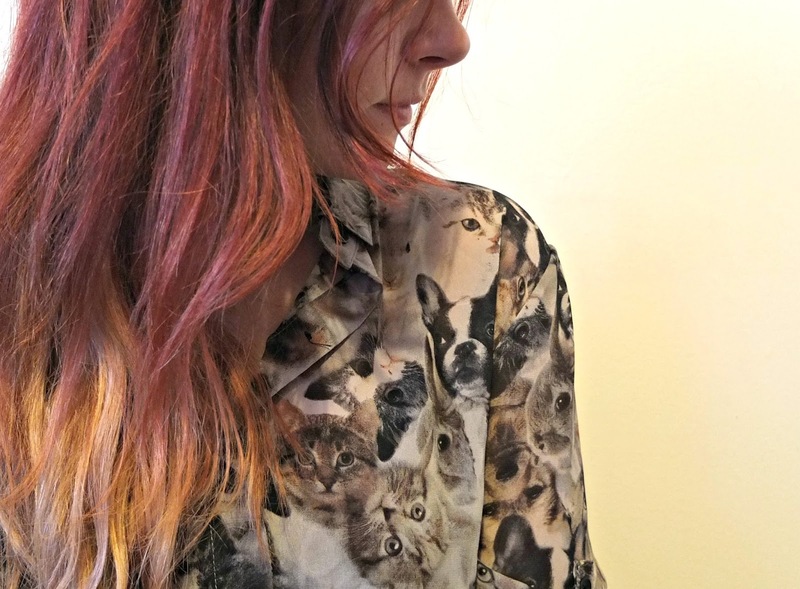 For the bargain price of £15 English Pounds (haggled down from £19 because I’m so thrifty and such), I got this beauty cat and dog print shirt, which also has a guest appearance from the odd rabbit too. It’s just above knee length on me and I got a size M/L for a nice over sized fit (I’m a size 10 by the way). Worn with one of those £3 cami dresses from Primark underneath, it’s pretty much my new go-to choice for every day wear. It’s so comfortable, so versatile, so me. When I’ve shared this garment of wonder on Instagram a few people asked where it was from. So behold; I have found an eBay seller which is stocking it here.